Well upon firing that football coach and hiring a new athletic director and since that firing, 3 football coaches Hull, Farrier, and Jones have manned the helm of the sinking ship that is the Morgan State University football program. Time hasn't repaired the damage of the continuous path that Morgan State University football mediocrity since glory days that ended with that 1979 championship team. I remember reading about the return to glory, the return to athletic excellence especially the excellence that embodied the magnificent history of Morgan Grizzly football. The past two years have been especially difficult but the only real positive turn in the direction of greatness was provided not on the field of play but on social media. Brother James Wills, Hans Ramsey, Craig Spencer, Mike Holston, and other members of the 1979 team refused to go blindly into the night. 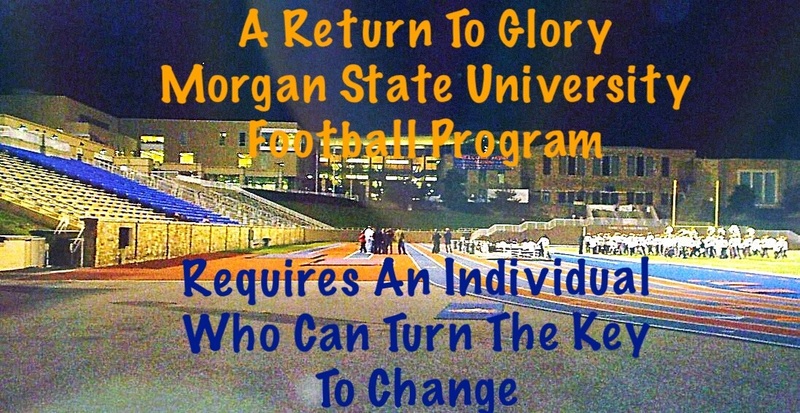 They created an organization called the Bear Boosters and begun to swing the pendulum of change more positively towards that return to glory promised by the Morgan State University administration when they went on a search to find a replacement for Coach Donald Hill-Ely. You see these alumni players believed what the current administration promised in 2013 and awaited the return on that promise. Well, promises made were broken because as another season of Morgan State University Football ends this Saturday in Norfolk. This group of men and women that comprise the Morgan State University Bear Boosters are making it clear that no longer is mediocrity acceptable. When the final seconds wind down on Saturday the search will begin to find a new coach to captain our football team into the future. I am sorry to say that the current coach, Ernest T. Jones isn't the answer. He has proven this season that he doesn't offer the skills necessary to build a championship brand at Morgan State University. Time and time again Coach Jones hasn't made the adjustments during the game to win football games. This according to my caller who attended every one of Morgan State's football game. 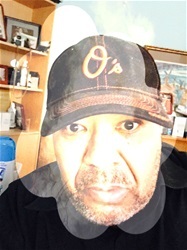 Morgan State University needs an individual who understands fully the magnificent history not only of Morgan State University but the entire black college football history. I am sorry to say that the current coach doesn't understand that history nor does he comprehend the importance of that history. As Morgan State University ends the season with a win over a Norfolk State University team they hadn’t beaten in 11 years. You may want to sign Coach Jones as the permanent head coach of Morgan State University. That would be the wrong decision unless after a true national search Coach Jones rises above any the of available coaching candidates. Personally, I don’t think that will be the case but if he becomes the true candidate and is willing to return our illustrious tradition to the Morgan State University sidelines than he becomes that new captain to man the ship. I would love for Morgan State University to engage if possible a candidate who graduated and played at Morgan State University. I am sure that in your search you will find a suitable candidate with that background. If not, then please look to hire a coach who demonstrates the necessary knowledge of the historical prominence of a successful HBCU program. You cannot continue to win 3-4 games per season and hope to slip into excellence. Excellence requires total teamwork and that methodology requires an individual willing to counsel with every facet of our university. Yes, the head coach will make all the critical decisions that entail building a winning program. However, that individual must be able to work to develop a buy-in attitude that will draw in the energies necessary to create an enthused campus. We need to drive the engine of success by fueling our athletic program supporters with excitement. 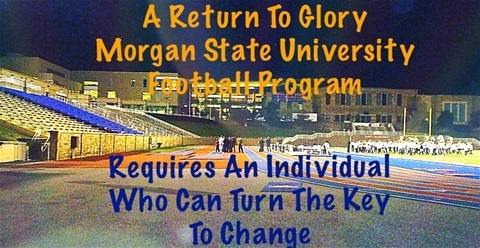 I truly hope that the next hire that is delivered our football program at “the” Morgan State University understands that he turns the key that leads to a new era of excitement at Hughes Stadium and Earl Banks Field.